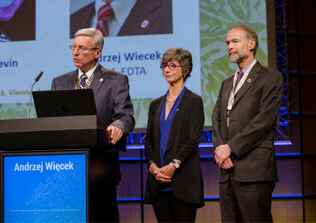 What does it mean to be an ERA-EDTA Member? Being a Member of ERA-EDTA means being part of one of the most important and prestigious European Medical Associations. 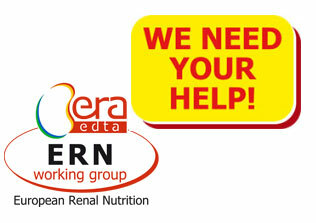 The ERA-EDTA is an Association whose purpose is to encourage and to report advances in the field of clinical nephrology, dialysis, renal transplantation and related subjects. It is open to all qualified workers in the field of interest of the Association. By becoming a Member of the Association you will enjoy all the initiatives of the Association with an extremely favorable cost/benefit ratio (click here). 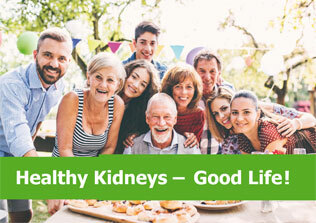 Clinical Kidney Journal (ckj), an official journal of the ERA-EDTA (European Renal Association-European Dialysis and Transplant Association), is now a fully open access, online only journal publishing bimonthly. As such print copies will no longer be circulated to subscribers, however all content can now be viewed online for free at https://ckj.oxfordjournals.org/. ckj content is also now available in PubMed Central® (PMC). There will be no charge to authors for open access publication in 2016, with the exception of those who must publish under a CC-BY licence in order to comply with finding body mandates. After this time ERA-EDTA member will receive a discount on the article processing charges (APCs). Submit your paper at https://mc.manuscriptcentral.com/ckj. 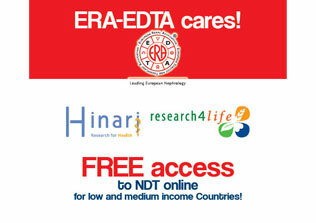 Nephrology Dialysis Transplantation (ndt) remains available in print and online formats via subscription or ERA-EDTA membership. Exclusive free access to EuroPD videos! Click here for more information. Special discounts on the purchase of Oxford University Press (OUP) books. Unlimited access to ERA-EDTA congress e-materials, to all ERA-EDTA members who participate to the congress. Click here for more information. Check out ENP! 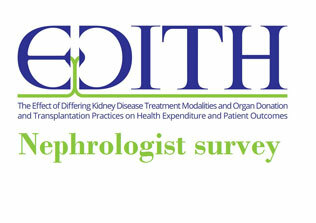 The new European Nephrology Portal ! Click here for more benefits for ERA-EDTA members! In order to become a member you must fill in the Application and payment forms. Click here to see all the possible ERA-EDTA membership fees.